Taking part of Frugal February means reassessing your needs and habits to see where you can cut back on spending. A time to spring clean and de-clutter, I know I've been meaning to but keep putting it off. Such a great initiative. So far, I've sorted out the kids' room, donated toys, sold a few things online and taking stock of the pantry and food in the fridge to create fun meals for the kids. 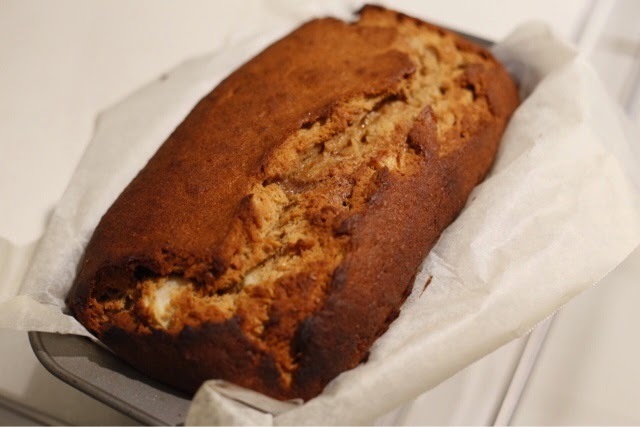 With a few weary looking fruit in the fruit bowl, I thought it was the perfect excuse to whip up a simple banana bread to use up the over ripe bananas and sweet pears. Perfect for a mid morning play date snack. 3. 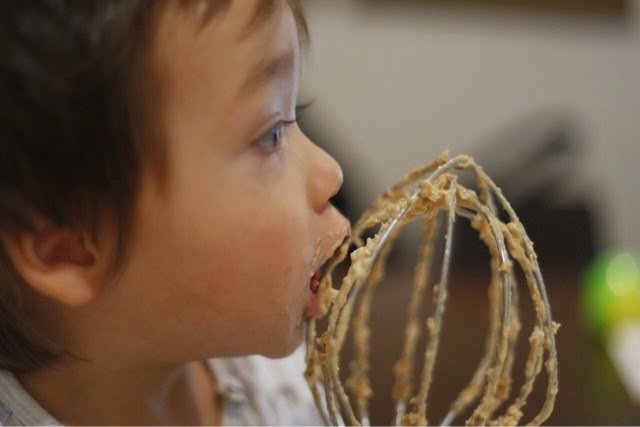 Place all the dry ingredients into a bowl, mix and leave until needed. 4. Add 1 egg at a time, mixing well after each addition. Scrape down the sides of the bowl for even mixing. 9. 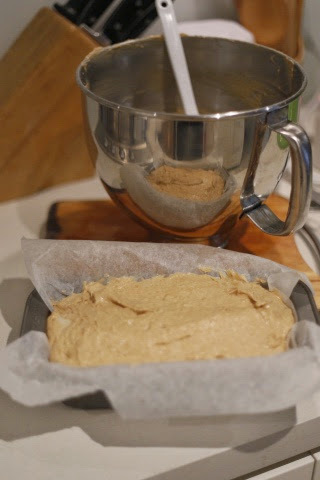 Pour batter into the loaf pan and bake for 60-70mins or until a wooden skewer inserted into the centre comes out clean. 11. Serve slight warm with a dollop of butter, or at room temperature. 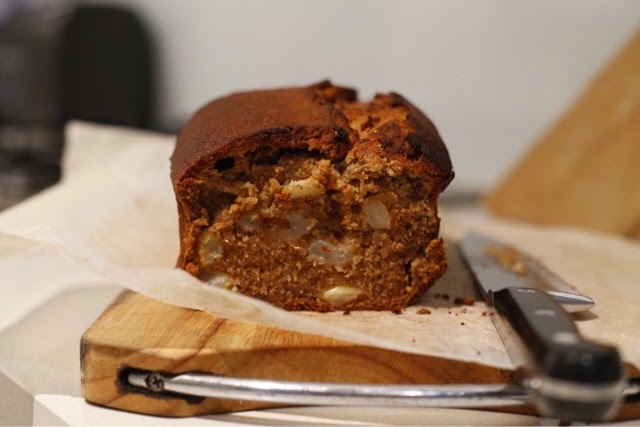 *This banana bread keeps well wrapped in plastic for up to 3 days at room temperature. *For longer storage, slice the banana bread to your preferred thickness and wrap in plastic wrap and keep in the freezer for 2 months. I also individually wrap slices rather than to defrost the whole loaf. *Defrost in plastic wrap at room temperature. *I have also replaced the pears with apples and that works out a treat as well.